With thousands of self-published titles in the marketplace, not to mention competing with titles from traditional publishing, how do you make your book stand out? Bridgeman Art Library, a fine art and cultural image resource with over 40 years of experience licensing images to the publishing industry, has a few tips to get you started. 1. 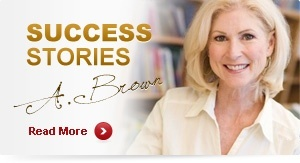 Quality: Blurry, low resolution files you found on the internet won’t cut it on the cover of your brand new book. You want to be sure image files are at least 300dpi and maintain their resolution, whether thumbnail or poster size. A designer can manipulate a file to your needs and your printer’s, but only if given the highest quality file from the onset. 2. Uniqueness: With the rise of color e-readers and tablets, your cover art has to be eye-catching. What kind of image(s) would give potential readers a taste of what’s inside? A detail from an iconic master painting or a close-up of a vintage map can help to establish genre, time period, place or even the emotional nature of the story inside. There are many sources for licensing imagery, from traditional stock agencies that focus on contemporary subject-driven photography to smaller niche archives who offer a more unique image selection. A niche archive such as Bridgeman can expand your options with unique material such as little-known manuscripts, iconic, abstract and contemporary paintings, textiles and patterns, vintage and contemporary photography. 3. Clearances: In addition to image quality, you want to make sure you have proper clearances and rights to use an image commercially. Even if your book is educational or you have a small print run; you must make sure to obtain the appropriate model and property releases, third party clearances and reproduction rights to the image you are using. Bridgeman, and agencies like it, provide copyright clearance and advice on all of these issues, so you are not treading the waters alone. That inexpensive image you found on the internet could turn out to be a legal and financial headache in the end. Need inspiration? 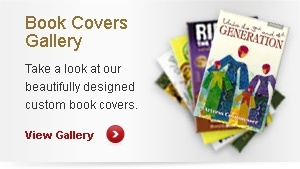 Check out some of Bridgeman’s favorite licensed covers for 2012.